Many amazing things have originated in Akron, Ohio: basketball great LeBron James, yo-yo champion Linda Lorenz-Sengpiel, the 1970s-rock band Devo, and Jackson Kelly’s Akron office. In 2014, Jackson Kelly established its office in Akron, Ohio, to expand the Firm’s geographic footprint and to accommodate its growing energy practice. The office is staffed by attorneys who focus on oil and gas, construction, real estate, transactions, and commercial litigation. In addition to these focuses, the attorneys in the Akron office work seamlessly and effectively with Jackson Kelly’s other locations in order to provide effective legal solutions across nearly all areas of the law. 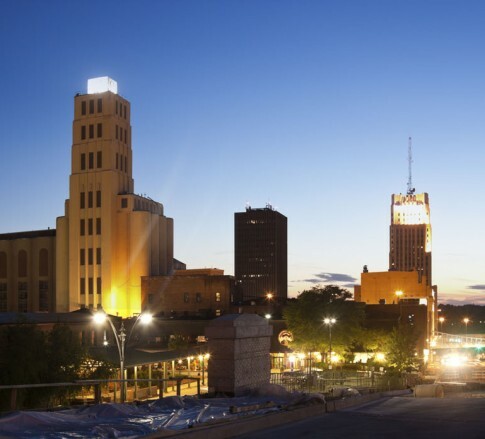 The Akron office is conveniently located in vibrant, downtown Akron.